What Are Black Cohosh Benefits & Uses?  Side Effects Of Using Black Cohosh? Black cohosh is a flowing plant that is found mainly in central & southern North America. Occasionally, it can be also found in Canada. This herb is also known as bugbane, black snakeroot, macrotys, rattleweed, and rattletop. Generally, the dried or fresh root of the Black Cohosh is widely used for medicinal purposes. The active ingredients present in black cohosh consist of serotonin-like compounds and components that are able to mimic estrogen in our body. Besides, this plant also boasts triterpenes, tannins, isoflavones, essential fatty acids, as well as certain starches. Therefore, it provides us with many beneficial benefits. Let’s take a detailed look at some of the outstanding health benefits of black cohosh on our site, Effectiveremedies.com. What Are The Benefits Of Black Cohosh & Its Uses For Health? 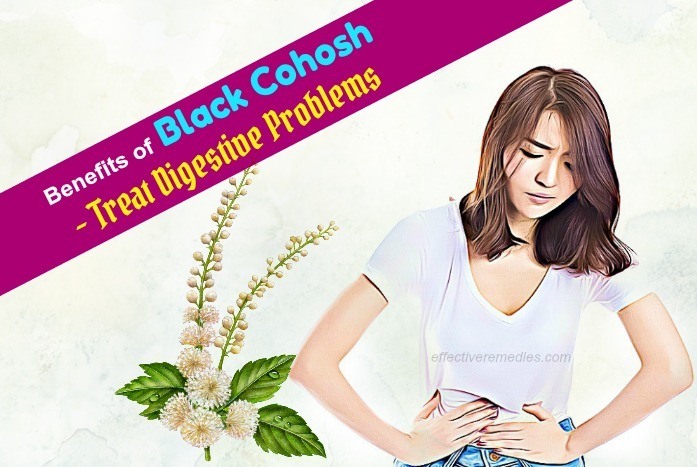 Black Cohosh comes with triterpene glycosides  such as acetein and cimicifugoside, caffeic acid, resins, isoferulic acid and fukinolic acid, which makes it an excellent remedy for multiple health issues. This plant has been consumed for centuries by Native Americans to treat many conditions related to health. 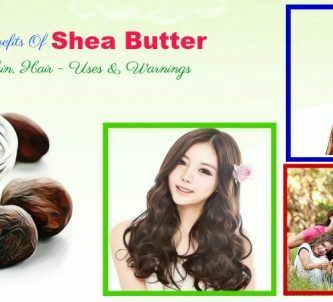 It is mainly used in treating ailments associated with women such as PMS, mood swings, hot flashes, menopause, menstrual abnormalities, vaginal dryness related to menopause, and to induce lactation and labor. Apart from that, it’s also often used to combat other minor to severe issues linked to health such as colds, hives, sore throat, arthritis, constipation, depression, backache, and hypertension. Basically, black cohosh can help to treat headaches caused due to stress, anxiety, and depression thanks to its sedative activity. For this treatment, you can take 1 capsule or 1 cup of the black cohosh tea prior to the onset of a severe migraine or a headache. This herb has the ability to lose weight. 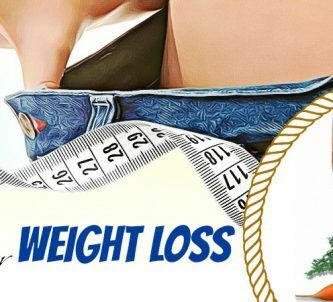 It helps women to lose unexpected weight, especially in menopause. Black cohosh can raise the levels of estrogen in the body by reducing the fat cells creation. As a result, it aids in reducing weight-related problems and heart disease, stroke, diabetes, high blood pressure, and breast cancer. Researchers show that the body of women doesn’t produce a balanced amount of estrogen and progesterone hormones during menopause. 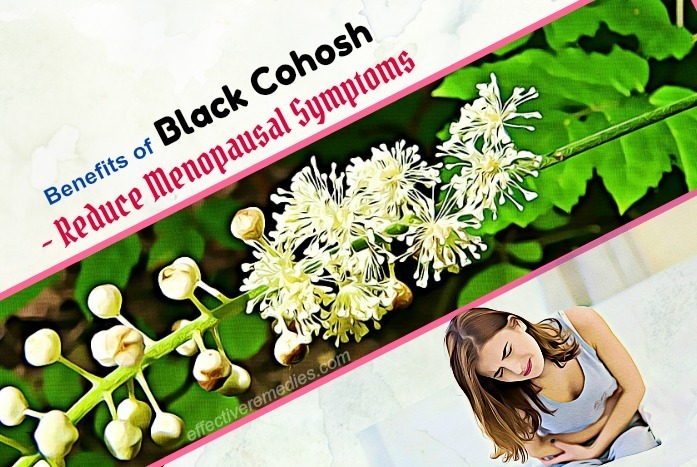 According to a randomized clinical trial, black cohosh can treat the early menopausal symptoms . This herb helps to balance the pituitary luteinizing hormones and progesterone production, thereby reducing the symptoms of menopause. Taking a tablet of the black cohosh two times every day may act as Hormone Replacement Therapy women with menopause. 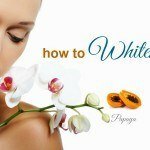 It can also alleviate hot flashes, vaginal dryness, mood swings, headache and depression related to menopause. Black cohosh can help to manage unpredictable periods. In addition, it aids in stimulating menstrual bleeding and easing uterine tension, which lowers cramping during periods. 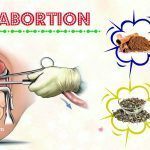 Apart from that, this plant helps to strengthen uterine muscle tone for pregnant women, thus helping to prevent premature delivery or miscarriage. Black cohosh can give an instant relief from inflammation or pain caused by snake bite. Simply, crush black cohosh roots and later use it in the affected areas. Black cohosh is an effective remedy for abortion since it can make the uterus ready for this action. For the detailed recipe, you can view at the Abortion Remedy No. 3. The inflammation and contraction of the uterine muscles are the main causes of menstrual cramps. Black cohosh is an anti-spasmodic and anti-inflammatory herb. Thus, you can drink 1 cup of the black cohosh tea to treat menstrual cramps, PMS as well as other symptoms related to it. It might be also beneficial to start consuming black cohosh tea per day prior to the onset of this condition and drink it once every day until the symptoms completely fade away. This herb contains anti-rheumatic activity so that it may aid in soothing the aches and pains caused due to rheumatoid arthritis. For this purpose, take 1 cup of the black cohosh tea two times every day or 1 capsule of the black cohosh supplement. You can make the black cohosh tea by steeping 1 tea bag for 5 minutes into 1 boiling cup of water. Black cohosh is enriched with the decongestant, antiviral, astringent, and antibacterial properties, all of which may deal with respiratory tract infections, bronchitis, asthma, nasal congestion, flu, and colds. Consuming one cup of the black cohosh tea two times daily may help to sooth the symptoms of such respiratory and sinus conditions. Black cohosh is great for digestive health. It can enhance the elimination of waste products and lift the efficiency of nutrient uptake, thus decreasing the risks of constipation & related conditions. Also, this herb can assist in lowering flatulence, cramping, bloating, nausea and morning sickness. Black cohosh is a natural sedative. 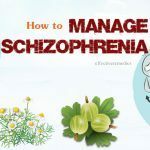 This herb is recommended for people suffering from chronic anxiety, insomnia, stress, or non-restful sleep because it is able to deliver long, restful, undisturbed sleep. Black cohosh contains the salicylic acid that is extremely helpful as a great and natural anti-inflammatory substance. This is because the salicylic acid almost imitates the activity of aspirin directly. The anti-inflammatory nature of the black cohosh can deal with congestion, sore throats, and high blood pressure. It also works as a vasodilator, lowering the stress on our cardiovascular system and reducing the risk of blood clots causing heart attacks or strokes. This plant has a great effect on the hormonal balance of the body. Besides, it is also effective for regulating stress and mood. It is highly beneficial for regulating the release of hormones in your body and keeping your mental state more stable. Black cohosh is an anti-spasmodic that helps nerves and muscles function normally, preventing aching and cramping pains. It also treats many pains and aches related to the muscle strain, injury, chronic nervous tension, as well as other mild conditions. This herb is an effective remedy for enlarging breast. Simply, crush black cohosh roots and massage it in round movements in your breast. Follow regularly for quick results. Black cohosh can reduce the blood pressure because it contains plant estrogens. For this remedy, take black cohosh daily till your condition gets normal. HIV is generally a life-threatening disease. Thus, it’s best to have a good lifestyle to fight against HIV disease. Luckily, black cohosh can combat HIV because it has the ability to inhibit HIV germs from entering our body. 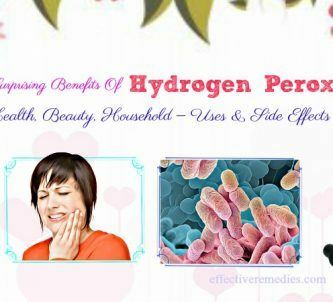 Its antimicrobial properties can improve the levels of blood lipid in your body. 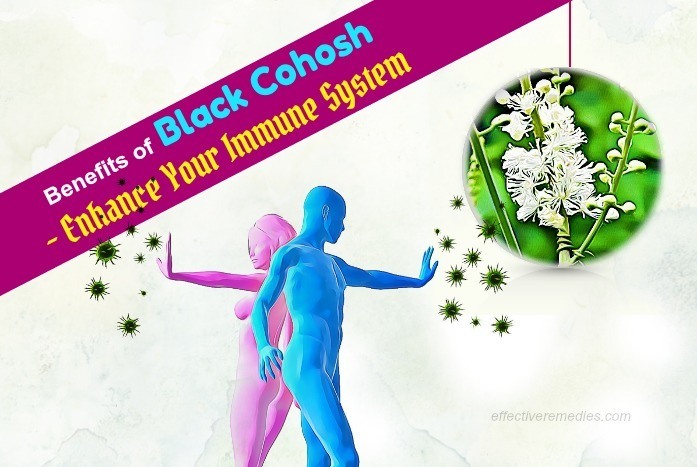 Black cohosh consists of the disease-fighting chemicals, which help to strengthen the immunity. The healthy immune system contains the powerful strength to give your body protection from harmful bacteria, toxins and external bodies. Being an expectorant agent, black cohosh aids in removing the mucus from the lungs and bronchial. Therefore, intake of the black cohosh will help to treat lung congestion naturally and efficiently. Using black cohosh is very useful for promoting the function of nerves, brain cells, and tissues. According to some studies, there is a close relationship between chemicals produced in our brain and chemicals present in black cohosh. 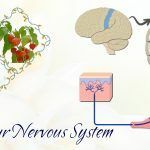 This herb also acts as a neurotransmitter, which can send and get signals to the body parts and systems, thus boosting the function of nervous system. Typically, black cohosh comes with beneficial chemicals that have anti-inflammatory agents. These chemicals found in black cohosh are useful for reducing swelling and easing various types of body pain including muscle pain, joint pain, back pain, head pain, etc. What Are Side Effects Of Using Black Cohosh? Generally, black cohosh is possibly safe if used in moderation. Avoid using this herb for a long time because it can result in live damage. Also, it interacts with other medications and herbs. Thus, consult your doctor before using this herb. Besides, for people having hormone-sensitive conditions, or pregnant or breastfeeding women, black cohosh isn’t recommended. An overdose of this herb may cause vomiting, nausea, indigestion, low blood pressure, headache, and irregular perspiration. 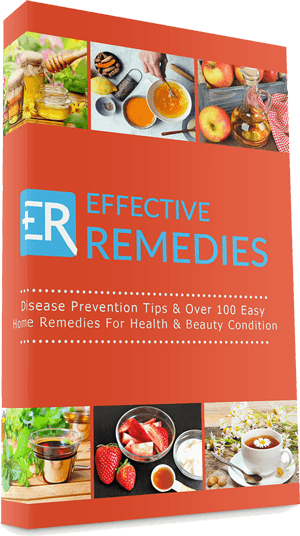 Where & How To Buy Black Cohosh? You can buy black cohosh at most herbal foods stores. It is available in the dried roots form, tablets, capsules, tincture, and powder. For the good quality, buy this herb from a well-reputed company. In fact, black cohosh can prevent and treat a variety of health issues. But, to avoid some side effects of the black cohosh, you need to consult a doctor before using any remedy. You can find more such article by going to our main Superfoods page. If you know other health benefits of black cohosh, please share with us in the comments section below.